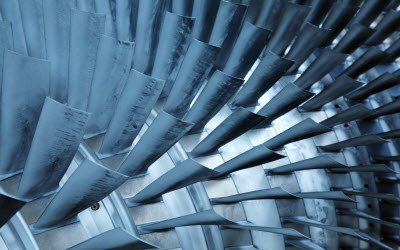 Our expertise in the energy/power industry focuses on monitoring and control of systems and sub-systems. 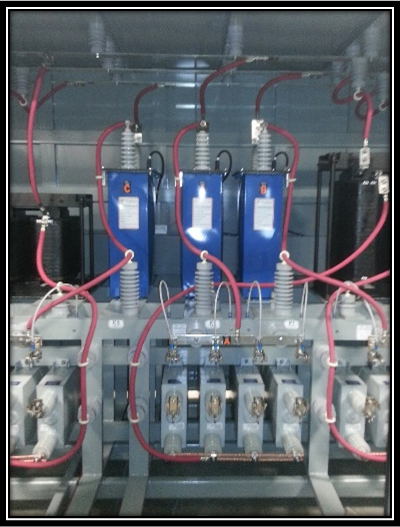 We’ve got experience with power measurements and power conversion (AC/DC, DC/DC, AC/AC, DC/AC) and motor control & monitoring. 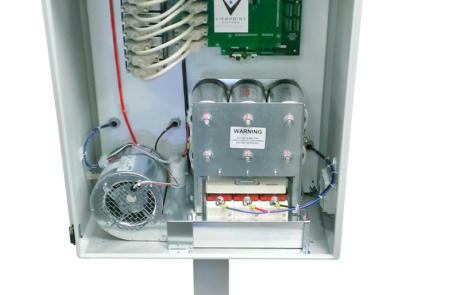 Client: A designer and manufacturer of leading-edge electrical power monitoring equipment. Smart Grid investment is growing. Two important premises for Smart Grid design are access to local power sources and an understanding of loads and disturbances on the grid at various locations. These local power sources are typically alternative, such as solar and wind, which have intermittent power levels. Since the levels fluctuate, an important feature of proper Smart Grid operation is handling these erratic supplies. Optimal understanding of these disturbances and load changes increasingly requires measurements on individual AC power cycles. 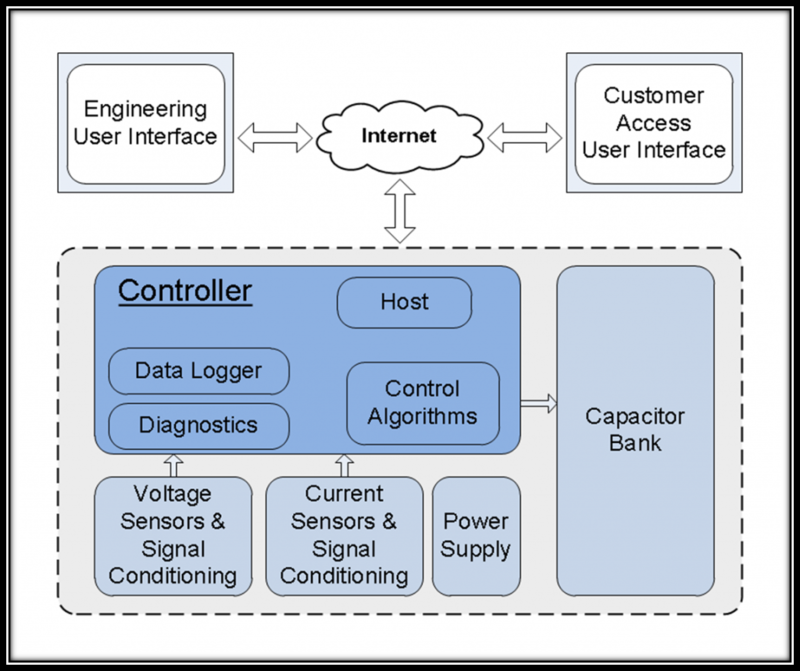 Local power analysis systems typically have constraints in equipment cost, size, and power usage balanced against the need for simultaneous sampling front-end circuitry and custom data processing algorithms on the back-end. Furthermore, many of these systems are presently deployed as prototypes or short-run productions, requiring a combination of off-the-shelf and custom-designed components. 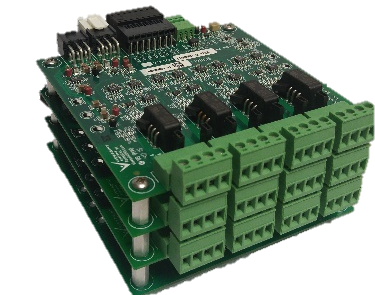 A custom RIO Mezzanine card was designed and built for the National Instruments Single-Board RIO platform to provide access to simultaneously-sampled signals from the 3-phase and neutral lines of an AC power source. Timing synchronization between physically-separated installations was provided by monitoring GPS timing signals. Custom VIs were developed to retrieve the sampled data points and GPS timing for subsequent processing and analysis. We needed 8 channels of simultaneously-sampled analog inputs (AI), each capable of sampling at least 50 kHz. 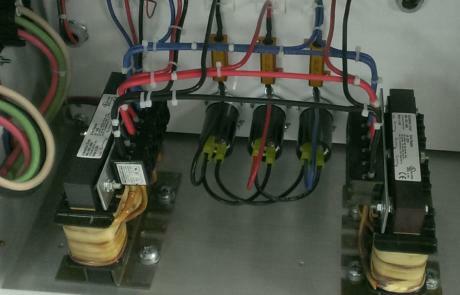 These AI channels sample the voltage and current of the neutral and three phase power lines. Furthermore, to coordinate power and load fluctuations across many measurement locations, a world-wide synchronization signal is needed. 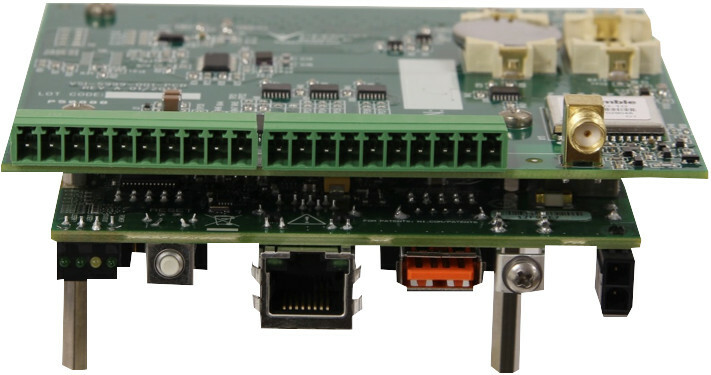 The Single-Board RIO (sbRIO) platform from National Instruments offers an excellent balance between off-the-shelf capability and custom design needs in a reasonably small package. 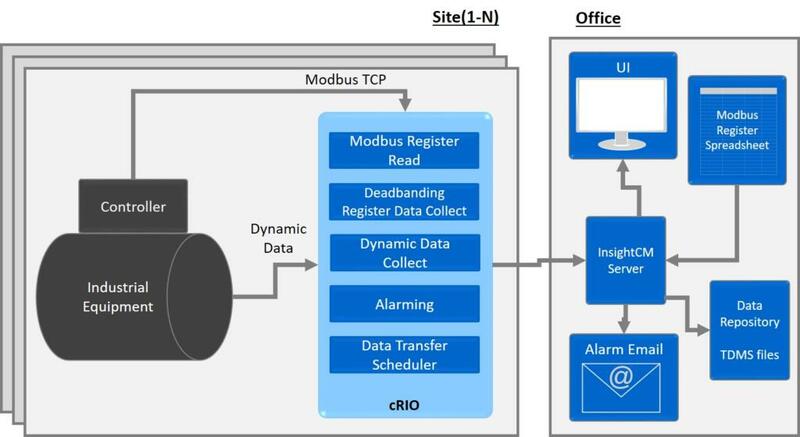 The sbRIO provides the processor, memory, and connectivity while the RIO Mezzanine Card (RMC) provides the I/O and signal conditioning needs. See our white paper, Developing Embedded Systems: Comparing Off-the-Shelf to Custom Designs, for a discussion of the benefits of using this approach. An image of the designed RMC and the sbRIO-9606 is shown below. Since the A/Ds reside on the RMC, the data bytes are accessed by sbRIO FPGA VIs code communicating through an SPI data bus designed into the RMC. The internal real time clock coupled with the GPS PPS signal allowed for timing accuracy within a GPS region well under +/- 1 uS of accuracy for all data sampled no matter the location, internally or from unit to unit within feet or 1000s of miles away. 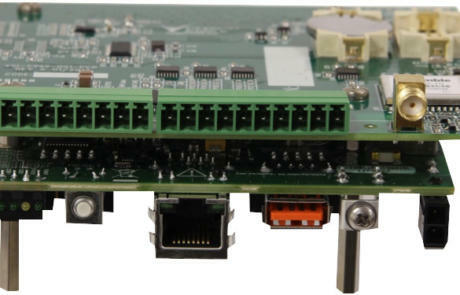 The combination of the sbRIO off-the-shelf platform and the custom RIO mezzanine card (RMC) for I/O makes a powerful, cost-effective, and yet configurable solution for measurements of AC power signals. With the GPS component on the RMC, measurement units can be placed at dispersed locations while still providing adequate synchronization of acquired waveforms for localizing and understanding disturbances in power transmission and distribution, irrespective of any specific application. If you have an embedded monitoring application that you’d like help with, you can reach out to chat here. If you’d like to learn more about our circuit board design capabilities, go here. The previous welding method was all manual, prone to errors and inconsistency. The old system also required the operator be in contact with the module while welding without any safety shielding. 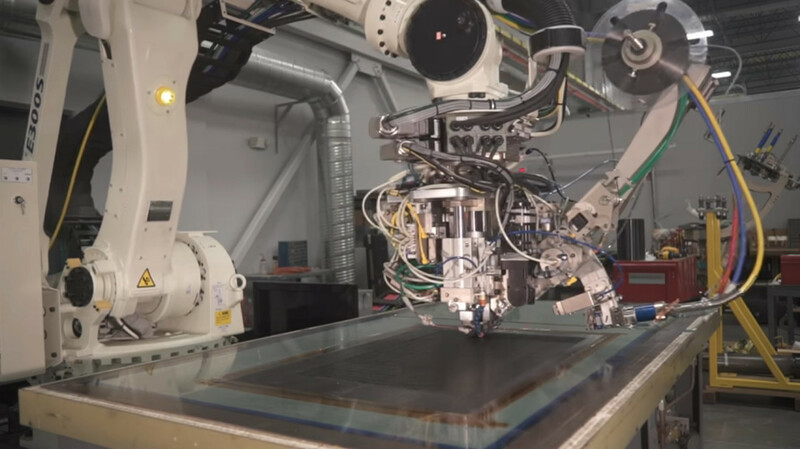 The welder semi-automates the ultrasonic welding of terminals on a battery module as part of the manufacturing process. It allows for welds to be conducted in the same place for every module, reducing variability and operator errors. This system is also quicker than doing the welds manually. 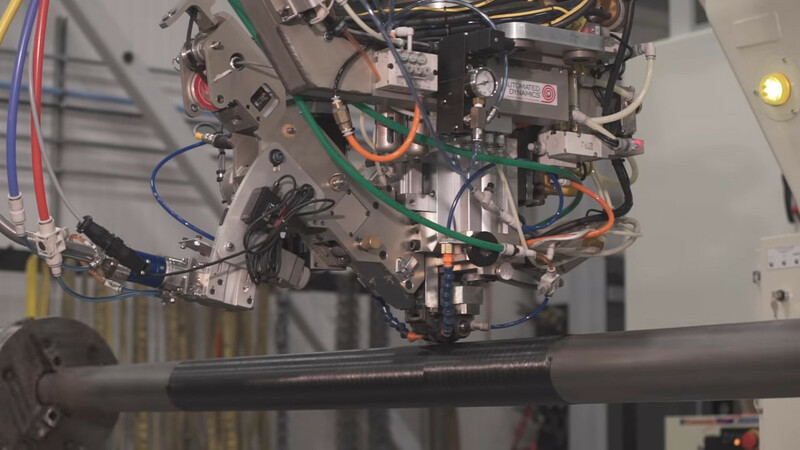 The system semi-automates the ultrasonic welding of terminals on a battery module. The system consists of an ultrasonic welder, XYZ table, and safety interlocks. The table moves the battery module to the correct welding position. Once in position, the Z portion of the table lowers the welder to the correct welding height. The application sends the signal to the welder to conduct the weld. Weld data is saved to a file from the welder Ethernet interface for later analysis. Viewpoint provided the software for this system, while the client provided the hardware for us to interface with. 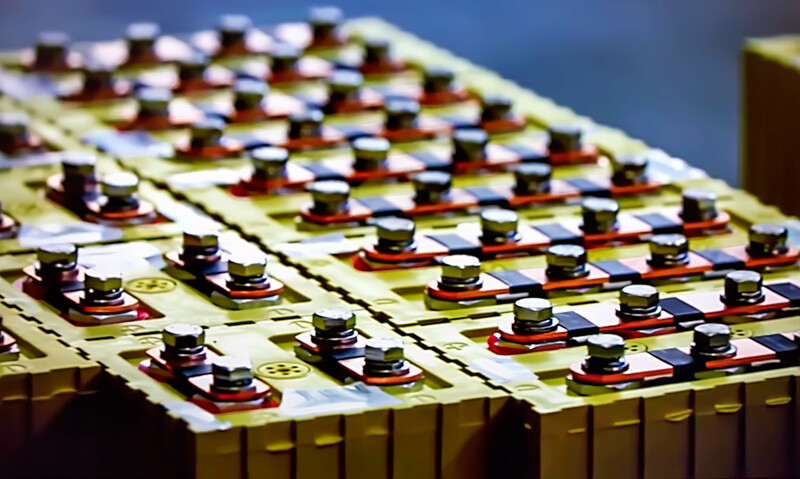 Considerable attention was paid to addressing faults in the production process to avoid damage to the operator and the battery module during the welding process, due to the high current output available from the battery module. If you need help with your industrial embedded monitoring or control application, reach out here. We specialize in using FPGAs for the control algorithms involved in power conversion and motor control. FPGAs offer advantages over traditional DSPs because of the inherent parallelism of code execution. In addition, we prefer to program the FPGAs using LabVIEW which, based on the support for a broad range of FPGA targets, allows us to use different target platforms for prototyping (e.g., cRIO) and deployment (e.g., sbRIO) with no or minimal FPGA code changes. Algorithms are based around Space Vector Modulation (SVM) for PWM control of the switches. 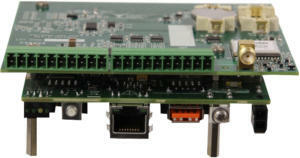 Additional control needs are handled with extra FPGA-based algorithms and/or by using a real-time OS (RTOS). 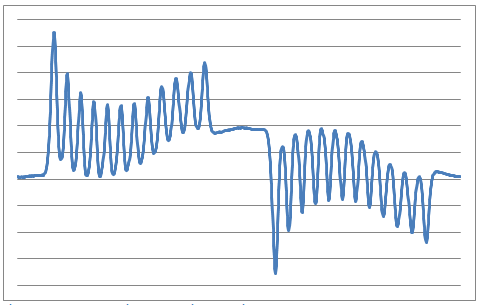 Signals in and out of the FPGA are conditioned via custom and COTS signal conditioning depending on the application power needs. We typically start algorithm development and testing on a test bench at low power levels, enough to drive small motors (e.g., AC and DC) and generators (e.g., DFIG) that can be controlled and monitored with ±10 V signals. 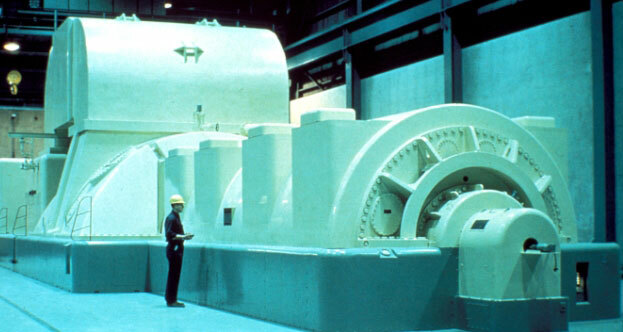 After algorithms are vetted, the higher power equipment is connected to the controller. AC signals generated from separated power sources and used to drive motors can be synchronized via various techniques including Time Sensitive Networking (TSN) technology.